Is it any wonder that older friends and relatives abroad still ask, when learning that one is from the Western U.S.: do you know any cowboys? 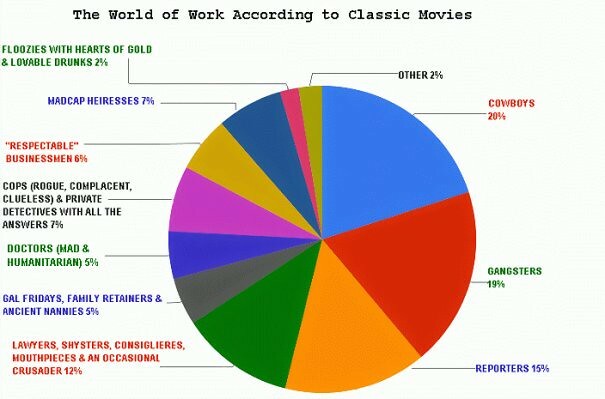 Anyone with a sense of America formed from the movies that have been this nation’s leading cultural ambassador for most of the last century might well assume that we are a nation of wranglers, gangsters, reporters, and lawyers. 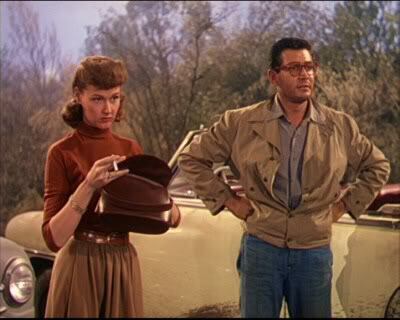 Library Science teacher Ann Robinson pausing for a reflective smoke with Gene Barry before the destruction of the human race proceeds in The War of the Worlds (1953). 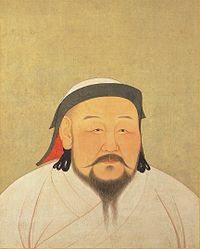 As we refrain from unnecessary noises, we might recall that it was on this date in 1271 that Kublai Khan renamed his empire “Yuan,” officially marking the end of the Song Dynasty (though Southern Song wasn’t fully conquered until 1276) and the start of the Yuan Dynasty of (Mongolia and) China. The Yuan Dynasty was a period of consolidation and centralization, and encouragement of science, technology, and trade, creating the China that Marco Polo found at the end of the Silk Road. It was also the period during which China developed drama and the novel, and saw a marked increased in the use of the written vernacular. Readers will recall The Antikythera Mechanism (“A Connecticut Yankee in King Agamemnon’s Court?…“), the oldest known scientific computer, which was built in Greece probably around 100 BCE. It was recovered from a shipwreck in 1900; but its purpose remained a mystery for over a century, until archeologists and scientists realized its ingenious intent: it’s an extraordinarily-accurate astronomical clock that determines the positions of celestial bodies– an analog computer with over 100 gears and 7 differential gearboxes– accurate to a day or two over its range. Having always loved complex mechanical devices, and never having fully outgrown LEGO, I decided to explore where computational mechanics and LEGO meet. This is not LEGO as toy, art, or even the MindStorms® fusion of LEGO and digital electronics. This is almost where Steampunk and LEGO meet. Hand cranked devices that perform complex mechanical tasks. As we revel in the satisfaction of making round pegs fit, we might recall that it was on this date in 1271 that Genghis Khan’s grandson and Coleridge’s celebratee Kublai Khan renamed his empire “Yuan,” officially marking the start of the Yuan Dynasty of Mongolia and China. By 1279, the Yuan army had defeated the last resistance forces of the Song Dynasty, which it succeeded.